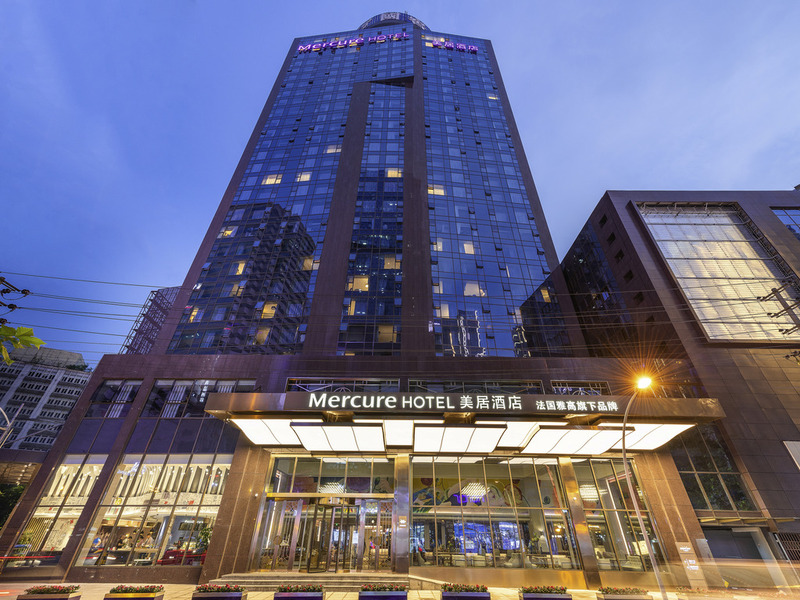 The 374 rooms Mercure Chengdu Chunxi greets guests with its exclusive Mercure fragrance. It is 10 min by foot to Chunxi Road Station Subway Lines 2 and 3 as well as Tianfu Square Station Subway Lines 1 and 2 and 5 min to Taikoo Li. The hotel is close to r enowned tourist attractions including Du Fu Thatched Cottage, Wuhou Shrine, Jinli, Broad and Narrow Alleys, with convenient transport routes to the major food streets and Panda Base. Located on level 30, the All Day Dining restaurant blends Eastern and Western cuisines. It serves breakfast, lunch and dinner as well as an exclusive customised buffet. Located on level 1, the lobby lounge is the ideal place to have a chat with your friends and enjoy wine, coffee and snacks. High speed wireless Internet is available.